The Warning is an event revealed by the Virgin Mary at Garabandal. In this event, God will touch every human soul on earth and illuminate the conscience, so that each person will realize his or her sins. Every sinner will be offered the gift of repentance. Some will accept it, becoming holier and closer to God. Some will reject it, becoming all the more sinful. The Warning of Garabandal is the same as the first secret of Medjugorje (another place of Marian apparitions). The Consolation is the second secret of Medjugorje. In this event, God will console all those persons who accepted the gift of repentance at the Warning. The Miracle is an event revealed by the Virgin Mary at Garabandal. 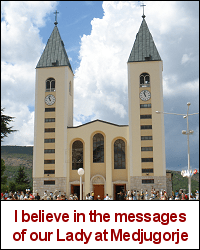 The Miracle is the same as the third secret of Medjugorje. In this event, God will miraculously heal innumerable persons throughout the world (but not all will be healed). And God will place Permanent Miraculous Signs at many places of true apparitions of the Virgin Mary throughout the world. And as a result, very many unbelievers will be converted. The Warning will prove to everyone that God exists. Everyone who believes that God does not exist sins with at least some significant culpability. But the Warning will show each individual the sins on his conscience. 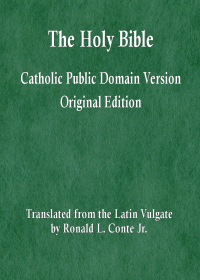 So everyone who does not believe in God has that sin on his conscience, though perhaps not to the extent of an actual mortal sin (prior to this event). On this day, everyone who believes that God does not exist, or who doubts that God exists, will know with certainty that God exists, because they will be shown, directly by God, that such disbelief or doubt is a sin against God. On the day of the Warning, God will prove that God exists. There will no longer be any room for sincere denial or doubt. The Consolation will prove, to all the repentant faithful, that God knows and understands all our sorrows and all our limitations. For God will console us with such a depth of understanding, even of our sins and failings, that no one who is consoled could ever doubt the extent and fullness of God’s knowledge and understanding. God is all-knowing. The Miracle will prove, to all who love God and neighbor, that God is loving and merciful and all-powerful. For God will heal so many people, in so many places, of so many diseases and injuries and other defects of the body, spirit, and soul, that no one who loves God or humanity could doubt the extent and fullness of God’s love and power. God is all-powerful and more importantly all-loving. These three days will prove: God exists, God is all-knowing, God is all-loving. I believe that these events will occur in the near future. As Sandy remarked, I also believe that these events will take place – and they will be an act of great mercy for all the world…yet it seems hard to accept that we can piece together clues and figure out specifically when they will occur. Mr. Conte, I have read these articles with great interest and appreciate your work and your perspective… how wonderful it would be if you are right about the timing! God Bless.